Intertest iShot® XBlock® Indoor HD FCB-EH6500 - Fiber Group Inc. The iShot® XBlock® HD 30x Zoom Indoor Camera provides HD-SDI video output with the integration of Sony HD FCB-EH6500 block color camera. Featuring a full 1920 x 1080 HD resolution, 1/2.8-type Exmor™ CMOS image sensor, Wide-D, Auto ICR and Spherical Privacy Zone Masking. Black powder coat finish with 1/4 – 20 mount. The Sony FCB-EH6500 features full 1920 x 1080 HD resolution. The Sony FCB-EH6500 incorporates a 1/2.8-type Exmor™ CMOS image sensor, boasting approximately 3,270,000 effective pixels for exceptional picture quality. Other features, such as Wide-D, Auto ICR and Spherical Privacy Zone Masking, make the features of the integration of the Sony FCB-EH6500 ideally suited for security and surveillance system integrations. Available picture effects include Color Enhancement, E-flip, Nega Art, Black & White, and Mirror Image. 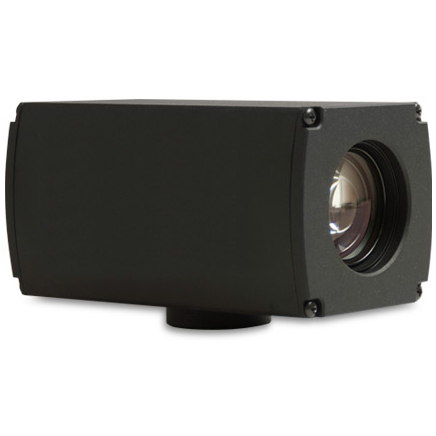 Ideally suited for Security monitoring applications, the iShot® XBlock® Indoor HD-SDI Camera with integrated Sony FCB-EH6500 HD block camera offers full 1920 x 1080/30p high definition output. The digital LDVS interface provides easy access for IP and Gigabit Ethernet applications. Thanks to the digital interface, the quality of the camera’s video signal is maintained with minimal deterioration. This can lead to cost savings due to the direct connection with codecs/systems without the need for any additional components. The value of the internal temperature of the Sony FCB-EH6500 can be read out via the VISCA protocol. When checking the internal temperature of equipment (i.e., speed dome unit), it is possible to use this data to turn a fan or heater on/off inside the equipment as needed. The integrated Sony FCB-EH6500 camera monitors the luminance differences within an image in high contrast environments and automatically switches on and off the Wide-D feature according to the contrasted lighting environment. In addition, it is possible to select three levels of luminance differences (low/mid/high). In addition to the Auto Wide-D mode, the Sony FCB-EH6500 camera features additional modes, including Indoor, Outdoor, One-push WB, ATW, Manual, Sodium Vapor Lamp. The Sony FCB-EH6500 features a high sensitivity imager, ideal for day/night functions at less than 0.5 lux (F1.6, 50 IRE) with high-sensitivity mode on. Broadcast Entertainment, Electronic News Gathering (ENG), Military, Dashboard Police Vehicles, Cockpit Recording, Facility Surveillance & Monitoring, Private Investigation & Covert Operations, Building Inspection & Shipment Container Inspection, Vision Impaired & Low Reader Systems, Machine Vision, Robotics Integration.